Just Real Quick…Dinner | Food It Yourself! Hello fellow DIYeters! Things are happening all at once here in Food It Yourself land. The weather in New England is finally feeling spring-ish, so I am hard at work initiating the Food It Yourself Garden, 2018 edition. I promise there will be details and pictures as it all comes together. With the digging and raking and compost turning after work and during the weekends I have been tempted to turn to take out. Yes, there have been some purchased meals, I will admit. However, far more often than not I have been using my DIYet skills to get something tasty, healthy and home made in out bellies. For example- turkey chili. I happened to catch a sale on super lean ground turkey at my local grocery store. 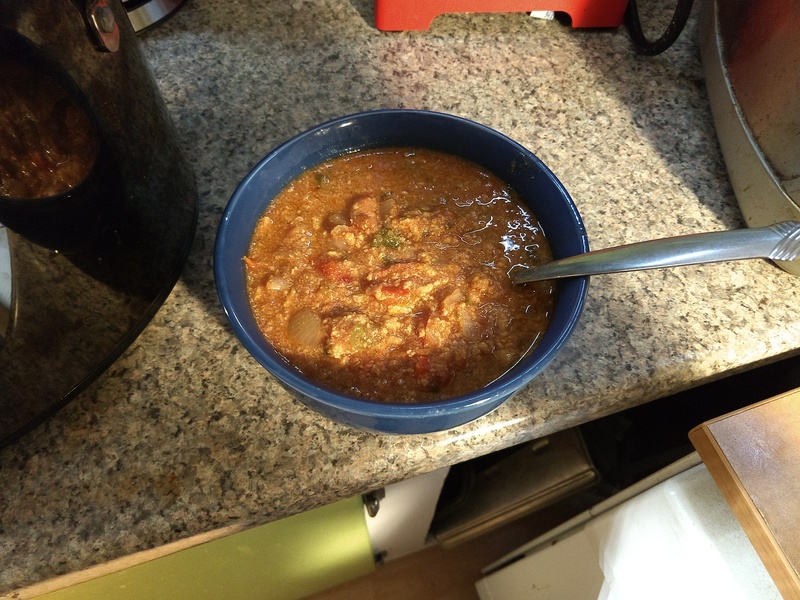 I had all the other ingredients, and chili is one of those dishes that is even better as left-overs. Also, chili is easy to make in a slow cooker. You know how much I ❤ my slow cooker. Step one: plan ahead. Wednesday night I made a quick stir fry for dinner. 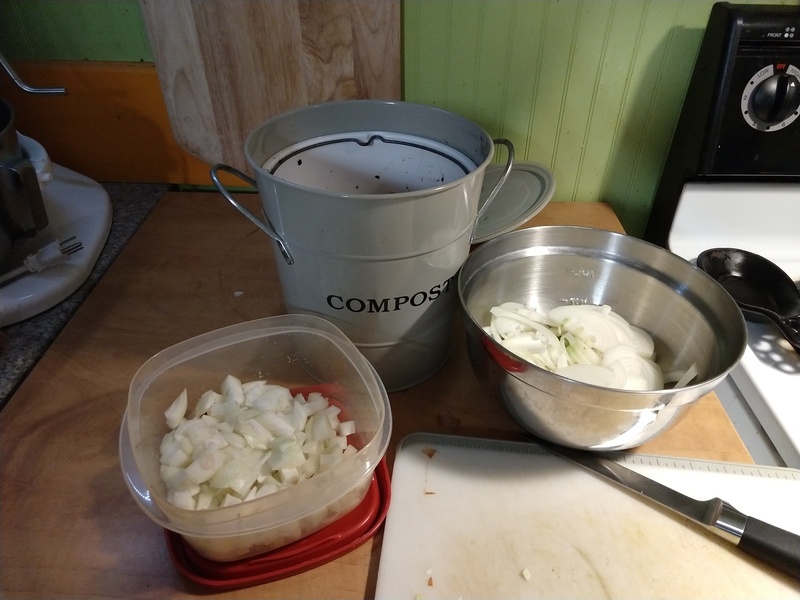 I sliced some onions for the stir fry and diced some for the chili. The cutting board and compost bucket were out anyway, so why drag them out a second time? 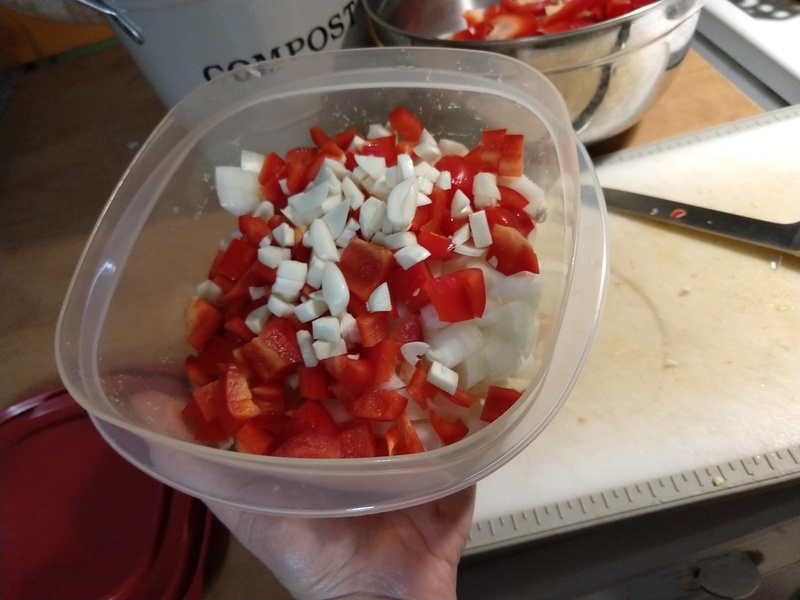 I also diced some red bell pepper and minced some garlic while the onions for my stir fry were sweating out. I was already in the kitchen so I figured it was a good use of my time. This is the most important step for me: put all the non-refrigerated stuff on the counter with the slow cooker before you go to bed. This will greatly reduce the chances that you will forget to make chili in the morning. Learn from my failure. Also note that I am using two jars of my home made salsa. The last two from 2017, in fact. I am officially home sick for tomato season. 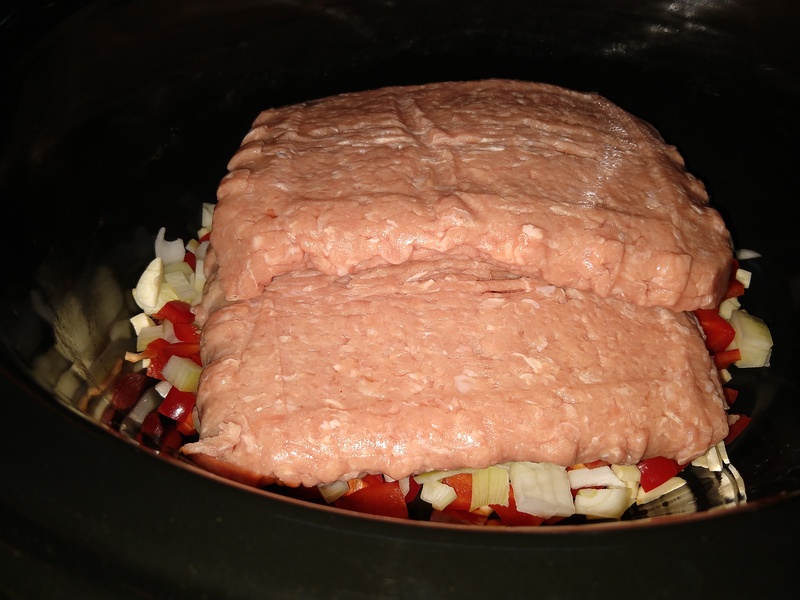 Thursday morning, while the coffee was perking, I layered the ground turkey on top of the diced veggies in the slow cooker. My two pints of salsa and one 14 ounce can of diced tomatoes came next. A flip of the slow cooker switch and off I went to work. Research data queries do not answer themselves, you know. This was definitely a good idea. 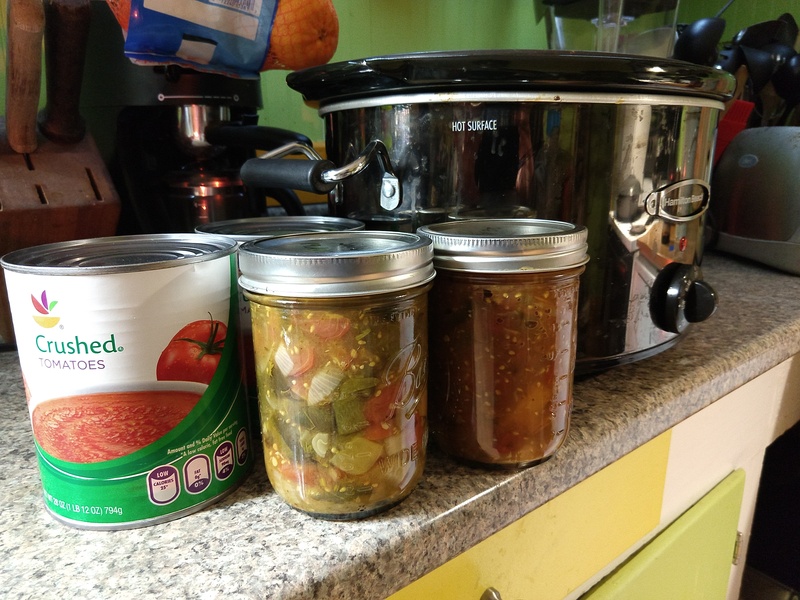 It was not too spicy (my tummy and I disagree about spicy food…), it used up my canned stuff from last season, and there was a lot of it. We ate it for dinner on Thursday. There were enough leftovers for my lunch Friday and both our lunches on Sunday. Planning makes it easier to keep a DIYet, especially when life gets full of things to do. What are your best tips for home cooking in a time crunch? Share in the comments section.